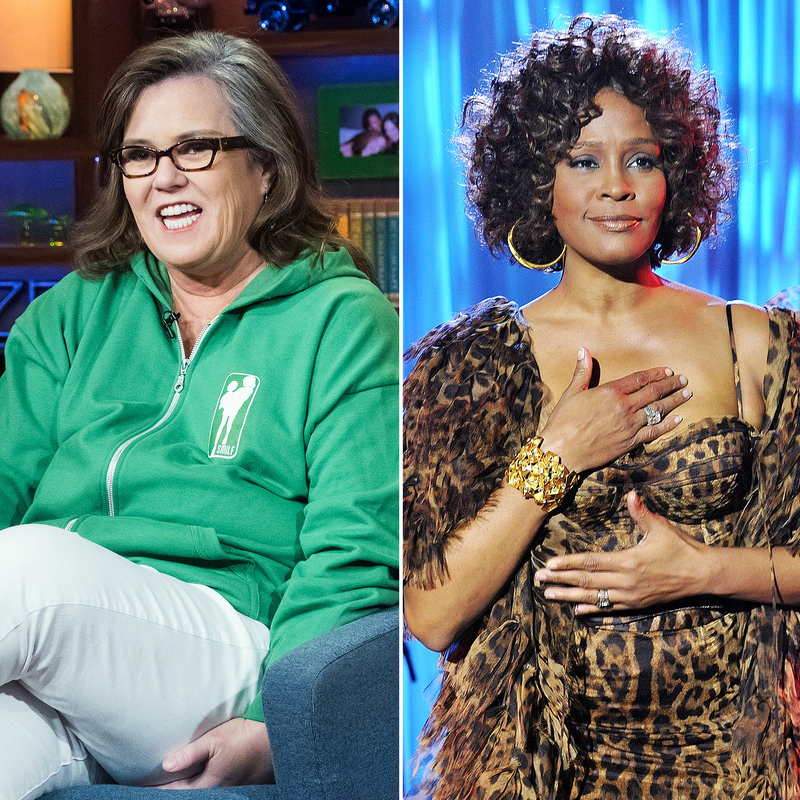 Rosie O’Donnell opened up about her friend Whitney Houston’s rumored romantic relationship with her longtime assistant, Robyn Crawford, during an appearance on Watch What Happens Live With Andy Cohen on Thursday, November 9. The late singer’s alleged romance with Crawford wasn’t widely known until it was detailed in the acclaimed documentary Whitney: Can I Be Me, which aired on Showtime this August. In the film, several of Houston’s family members and friends claimed that her relationship with her BFF was more than platonic. Houston first met Crawford as a teenager growing up in New Jersey. According to the documentary, their friendship and rumored relationship was a point of contention during the Grammy winner’s marriage to Bobby Brown, her husband from 1992 to 2007. “They battled for her affections,” Houston’s former bodyguard David Roberts claimed of Crawford and the New Edition singer, 48. The “I Will Always Love You” vocalist’s mother, Cissy Houston, said in a January 2013 interview that it “absolutely” would have bothered her if her daughter was a lesbian. However, she insisted that if Whitney and Crawford were dating, she wasn’t aware of it. Whitney died at the age of 48 in February 2012. The cause of death was accidental drowning, and a toxicology report showed that she had several drugs, including cocaine and cannabis, in her system at the time.